Some are tasty and edible, others not. 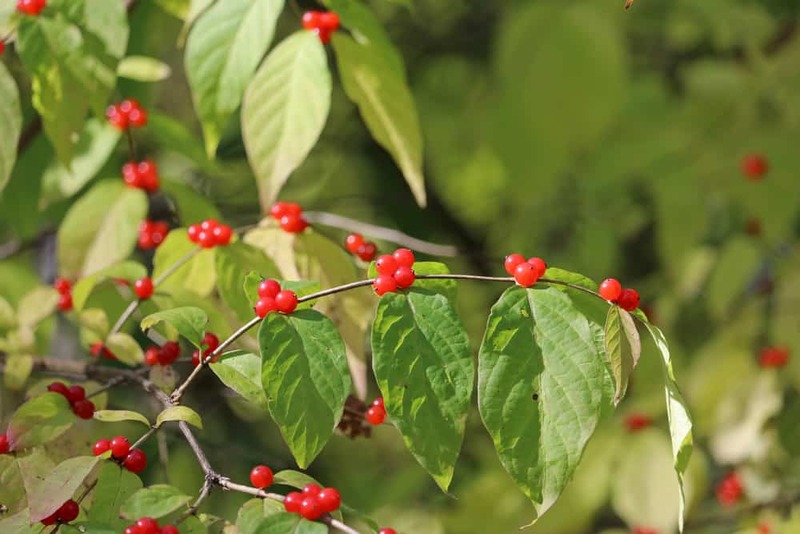 Here are some tips for common fall berries in Missouri. Most berries aren’t anything to worry about, but a few can be a problem. Symptoms vary based on the plant involved, and most often, children do not ingest enough to cause serious symptoms. However, if someone has ingested a berry from a plant outside, play it safe and call the Missouri Poison Center for help! If you have a child who has ingested a berry or part of a plant, wash their hands, wipe out their mouth, and give them something to drink. You may try to identify the berry online, but it is best to immediately call our specially trained nurses and pharmacists for advice. Our experts might ask you to text us a picture so we can help identify the berry and we will determine the next steps to help you quickly take care of the problem. Time is important and the sooner we have an identification, the quicker we can recommend the best care. Did the berry come from a tree, bush, vine, or herbaceous (non-woody) plant? Look at the branches or stems – are they woody, or not? Are there thorns? Squeeze the fruit and see if it feels juicy or hard. It might help to cut it in half crosswise. Is it hairy inside, like a rose hip, or solid like an apple? Is the skin shiny, bumpy, or translucent? Are the seeds like those of apples, tomatoes, or peaches? Does it smell like an apple or a tomato? Liriope (or Monkeygrass) grows low where toddlers can easily reach it. Dark purple berries on stiff stalks are surrounded by grass-like leaves. Many yards have Bush Honeysuckle, an invasive pest spread by bird droppings. The fruit ripens to juicy translucent red, usually in pairs, with two to six small seeds in each berry. The Buckbrush or Beautyberry bush grows wild throughout Missouri. They have pretty clusters of firm lilac berries. The extensive nightshade family includes edibles like tomatoes, eggplant, and ground cherries, and also non-edibles such as horse nettle and black nightshade that grow wild around Missouri. Some are low herbaceous plants, others are vines. Fruit can be yellow, red, or purple-black when ripe. A tomato-like smell from crushed leaves or fruit may help with the identification of the berry. Pokeberries are purple and squishy. They look like a bunch of grapes and have pink stems. Crabapples can be red, yellow, and orange. They grow on trees and look like tiny apples when cut in half. If you have any questions about plants or berries, call the Missouri Poison Center at 1-800-222-1222. The poison center is open all day, every day for poisoning emergencies and questions. The service is free and confidential.